An 18″ deep Roman door canopy in lattice wirework, shown in the black painted finish. 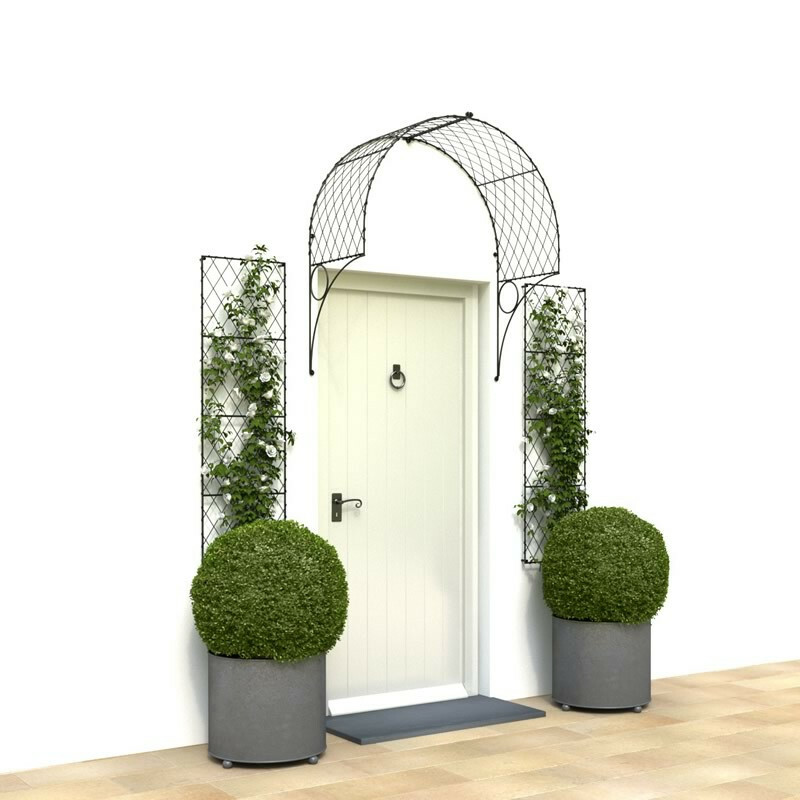 The 4’6″ high wall trellis panels and 18″ circular steel planters are shown in the aged galvanized finish. 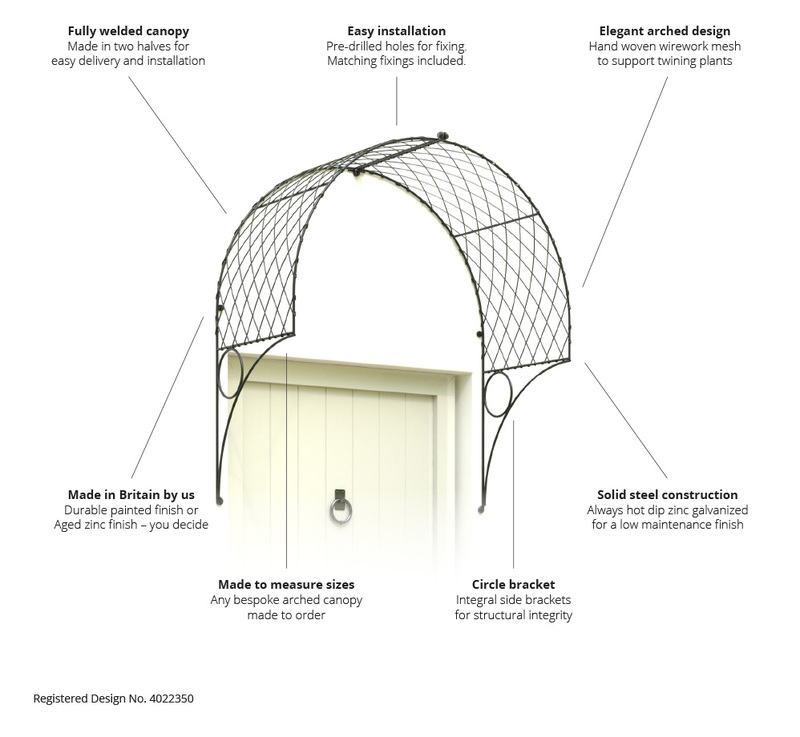 The door canopy is made in two halves with a join along the apex. One half is packed nesting inside the other for bolting back together on site. There are several lugs along the inside edges and an eyelet at the bottom of each bracket for receiving the hexagonal head coachscrews (supplied).